Nice view from Rt. 220 coming down through Northern Pennsylvania on my way home last weekend. The sun was peeking through clouds and lighting part of the hillside. 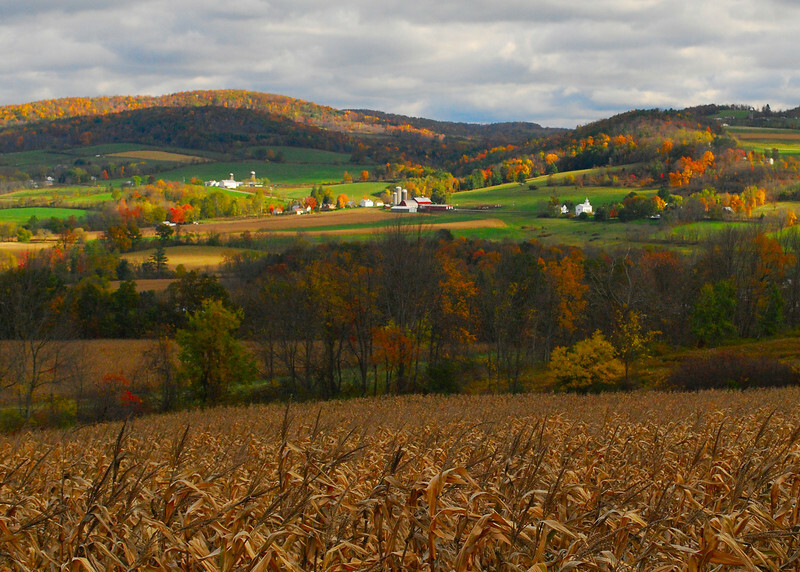 The scene is such an interesting patchwork of hills and valleys, trees, farm fields, clusters of buildings, all perfectly highlighted by the natural lighting and brilliant fall colors. Just about perfect, I'd say! Fascinating landscape! What a colorful and pretty view! Great shot! Great landscape with wonderful lighting. Love the eastern colors, such variety.